Dengue surveillance is a follow-up process for KDRS dengue fever reports in an area. Geographic Information System is a system that has a very good ability in visualizing spatial data. 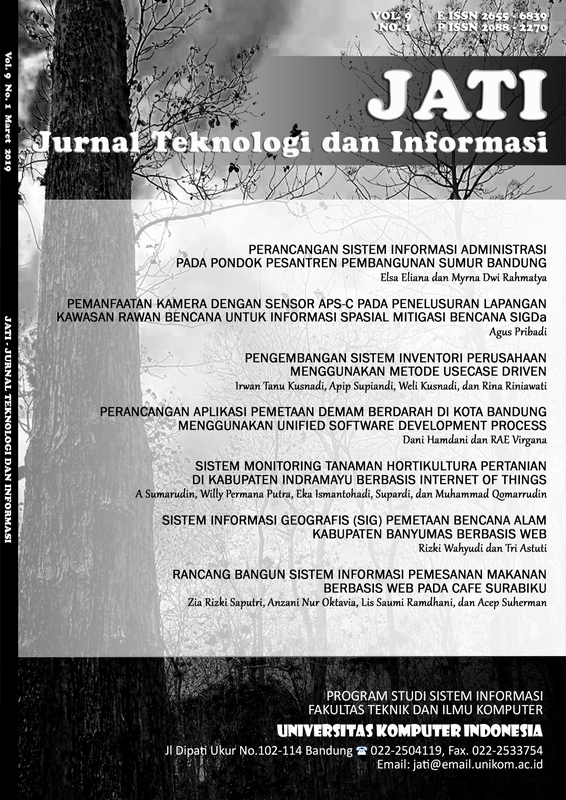 This paper discusses how GIS is one of the solutions that can be applied in presenting dengue surveillance map information in the city of Bandung. Thus, the authorities can see the distribution map of dengue fever patients in Bandung and the results of the surveillance carried out by the relevant health center can then be used as a consideration for the relevant agencies in taking measures to deal with dengue fever. In analyzing system requirements and modeling them, the author uses UML (Unified Modeling Language). The output target of this research is the design of geographic information systems mapping dengue fever surveillance in the city of Bandung.